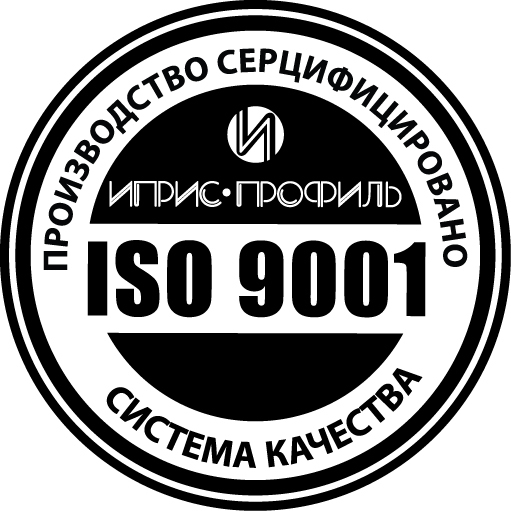 The ‘Ipris-profil’ company has used the ISO 9001 quality control system since 2008 and passes ISO 9001 test every year. Quality control department is a separate department which keeps a check on a goods’ compliance with requirements at all stages of the production, including the purchase of the raw materials and issue of end products. All goods and details of the structures are compulsory certificated and tested. The ‘Ipris-profil’s experts carry out continuous quality and technical standards’ control, the control of the engineering design documentation, shipping and negotiations’ terms. When getting an order, a customer is provided with a ticket which includes the description of the main products’ characteristics, storage and transportation conditions.